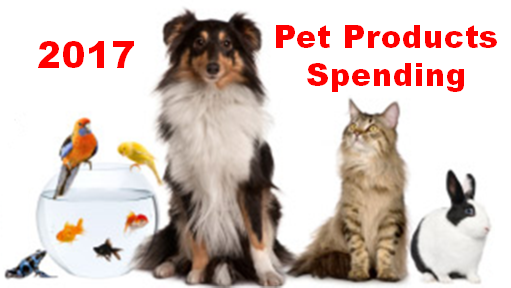 2017 Pet Products Spending was $49.69B- Where did it come from…? 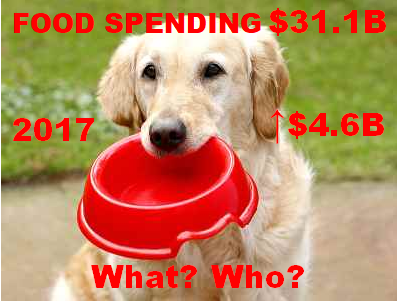 A huge spending lift in Food and Supplies! 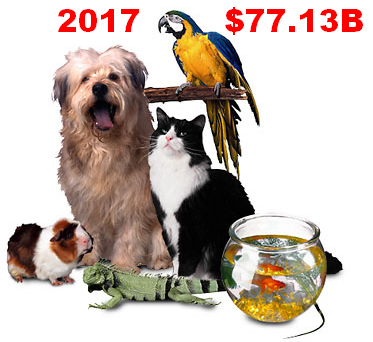 2017 Total Pet Spending was $77.13B – Where did it come from…? 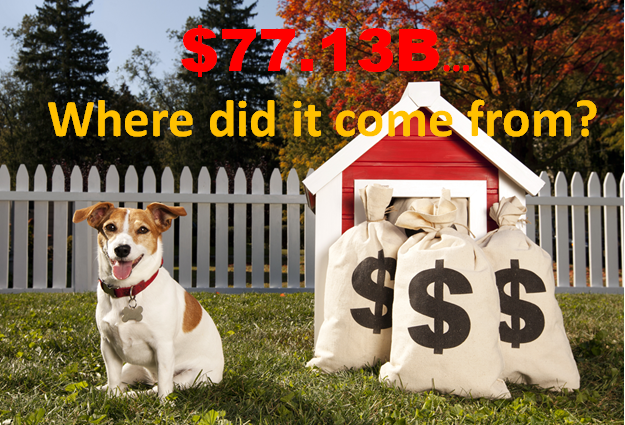 A Pet Spending Wave across America! 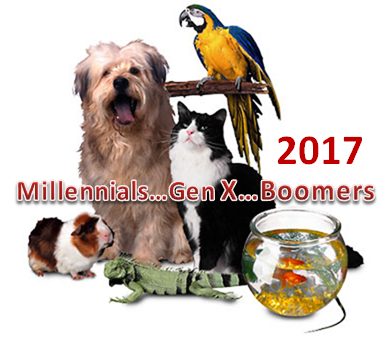 2017 U.S. Pet Spending by Generation – The Boomers Bounce Back! 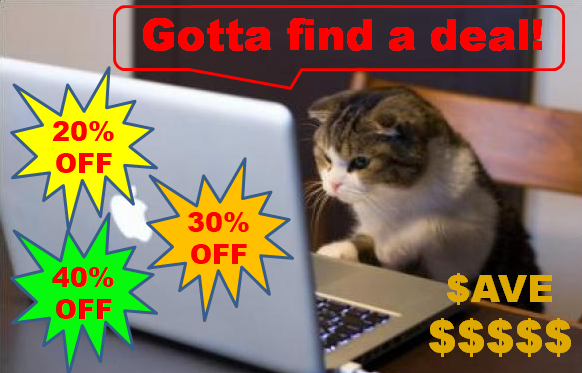 Baby Boomers spend $6.5B more on their Pet Children! Great Values drove the big lift in spending!